Would it surprise you to find out that the same twisted mind that brought audiences the disturbing mutant reptile baby in Eraserhead also just happens to be an extremely delightful man who loves a sugar rush so much that he had a chocolate milkshake at Bob’s Big Boy every day for seven years? Of all the eccentric indie auteurs out there, David Lynch is certainly one of the strangest directors out there. These eccentric David Lynch facts prove that there is even more to the crazy-haired weirdo than you'd expect. Blue Velvet, Mulholland Drive, and Twin Peaks are just a few of the many lauded projects in David Lynch’s stunningly brilliant filmography. He writes and directs films and television shows that are surreal in nature, replete with ambiguous meanings. His aim is usually to disturb the audience. Since his feature length directorial debut in 1977 with Eraserhead, weird stories about David Lynch have become the stuff of Hollywood legend. He's like a (slightly) less crazy Marlon Brando. Learn about Lynch's many obsessions, how he dealt with his extreme anger issues, which form of social media he loves the most, and more in the list below. It's about to get all sorts of Lynchian up in here. The American Film Institute (AFI) partially funded Lynch's directorial debut Eraserhead. However, the project wound up in the principle photography stage for several years, during which time the fund ran out of money. In addition to receiving donations from his childhood friend Jack Fisk and his wife Sissy Spacek, Lynch needed to get a job as a paper boy delivering newspapers for The Wall Street Journal in order to make ends meet. 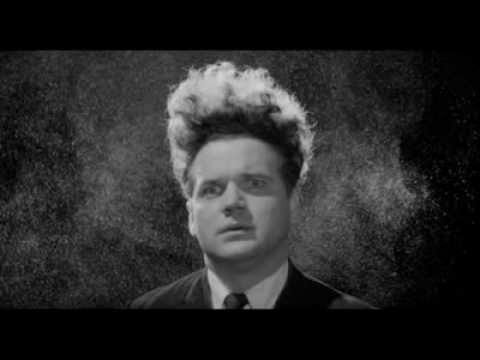 Lynch would work with his crew filming Eraserhead at night and then deliver papers during the day. Casting actors, especially unknown ones, can be a laborious process. Often an actor will have to come in several times to run lines or perhaps even do a chemistry read with a co-star. David Lynch just skips the headache and straight-up never auditions actors. Instead he selects them based on their head shots, without even taking a look at their past credits. Alongside casting director Johanna Ray, who has been with Lynch for every project since Blue Velvet except The Straight Story, Lynch primarily selects an actor for a role based on their looks. He then goes to personality, he's not even interested in actors who want to prove to him that they can act. "I like things to be orderly. For seven years I ate at Bob's Big Boy. I would go at 2:30, after the lunch rush. I ate a chocolate shake and four, five, six, seven cups of coffee - with lots of sugar. And there's lots of sugar in that chocolate shake. It's a thick shake. In a silver goblet. I would get a rush from all this sugar, and I would get so many ideas! I would write them on these napkins. It was like I had a desk with paper. All I had to do was remember to bring my pen, but a waitress would give me one if I remembered to return it at the end of my stay. I got a lot of ideas at Bob's." David Lynch had a tremendous issue with anger when he was younger. In order to deal with his rage, he began practicing meditation, which ultimately eliminated his problem. However, the memory of his anger inspired Lynch to write and draw a comic strip called The Angriest Dog in the World. He explained, "The memory of the anger — is what does the Angriest Dog. Not the actual anger, anymore. It’s sort of a bitter attitude toward life. I don’t know where my anger came from, and I don’t know where it went." "The dog who is so angry he cannot move. He cannot eat. He cannot sleep. He can just barely growl. Bound so tightly with tension and anger, he approaches the state of rigor martis."